From the sound of his latest (the Ig’s 15th solo joint in a musical career dating back to The Stooges’ late-’60s proto-punk), James Osterberg Jr. desperately wants to do something other than rock your world. He’s on something of a death trip, possibly brought on by the untimely passing of his longtime friend/bandmate Ron Asheton earlier this year. Préliminaires—translated as “foreplay” in French—is score music inspired by Michel Houellebecq’s 2005 post-apocalyptic novel The Possibility of an Island, a bleakly existential work that maps Iggy’s current worldview, one he’s said has him “sick of listening to idiot thugs with guitars banging out crappy music.” As such, the Ig’s latest ranges from New Orleans Dixieland to quiet bossa-nova ballads, all rendered in his deepest croon, the sort of voice he once applied to “China Girl” and that gives standards such as “Les Feuilles Mortes” and Jobim’s “How Insensitive” a richly wasted appeal. 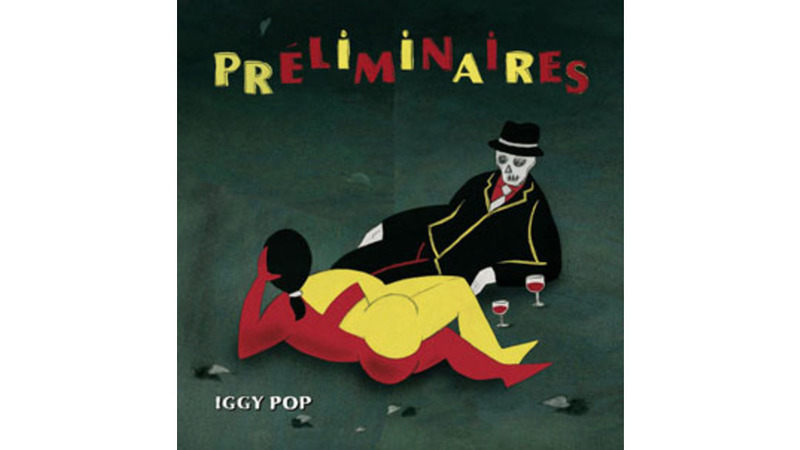 Not every track works (the originals are weaker, in part because of their Cro-Magnon/Bukowski-like lyrical obsessions), but Préliminaires applies an interesting—if not wholly successful—Aznavour twist to Iggy’s latter-day repertoire.